Mickey’s Once Upon a Christmastime parade will be presented daily at 12:00PM and 3:30PM on December 23 – 31, 2016. 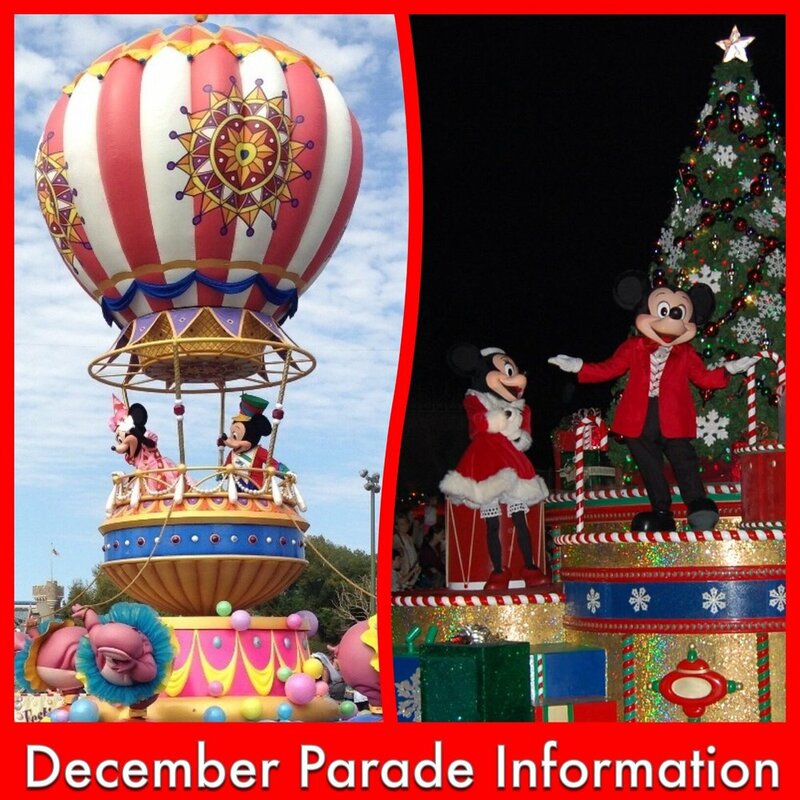 This parade is also presented during the Mickey’s Very Merry Christmas Parties offered on select evenings in December (special ticket required). Disney’s Main Street Electrical Parade is no longer presented at Disney World. Magic Kingdom Fantasy in the Sky Fireworks – In addition to the regular Wishes Fireworks, a New Years Fireworks display will be presented at 11:48PM on December 30 & 31, 2016. In light of the closing of the Shark Reef at Typhoon Lagoon and the Main Street Electrical Parade in the Magic Kingdom, I offer this simple notion: Don't let the things you want to do at Disney pass you by - they might not be there forever. We got the chance to put on air packs and experience this swimming-with-the-sharks attraction a few tears ago - while we're saddened to hear of it's closing, the sheer joy of the experience trumps it every time. I can't imagine how bad I'd feel knowing I could have tried it, and didn't, and now I can't because it's gone. Man - don't let that happen to you. Do you want to know the best way to make sure you see and do all of the things important to you? It's easy; work with a travel agent who specializes in Disney World. We limit our focus to the Disney destinations so that we can help with questions you might not even know to ask - questions like, "What attractions are closing soon? ", "Will this be fun or age appropriate for my children? ", "Which FastPass+ options will save me the most time?" and "when show I book my dining so that I can enjoy a relaxed meal without worrying about missing something great?" About the Author: Ian and his wife Toni work together to help their clients have wonderful Disney World, SeaWorld, and Universal Orlando vacations. There is no extra charge to get their expert help for your trip when you book your vacation through them.